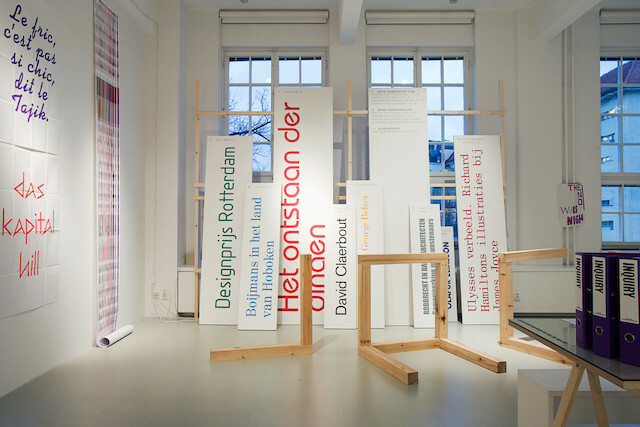 Graphic designer, writer and curator Jon Sueda includes the exhibitions Zak Kyes Working With… (2011-13) and Forms of Inquiry (2007-09) in his timeline of influential graphic design exhibitions. Read the full article in the special feature issue of IDEA magazine, issue No.376. Forms of Inquiry explored the overlap between critical practices in graphic design and architecture. A selection of international graphic designers were asked to contribute three conceptually linked items: an example of past work, an “inquiry” into architectural subject, and a commissioned print based on that subject. This exhibition received a great deal of attention, traveling to six venues all over Europe, and re-set the standard for an expansive exhibition program dedicated to the exchange of knowledge. This exhibition brought together a body of work orchestrated by Kyes through the lens of his partnerships, and used collaboration as both the method and subject matter. 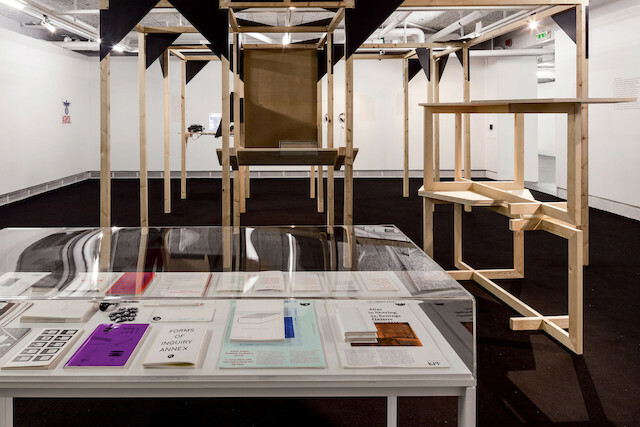 Kyes unconventionally commissioned his collaborators (architects, artists, writers, curators, editors, and graphic designers) to design the component parts of the exhibition; the poster, catalog, the exhibition furniture, and audio guides.